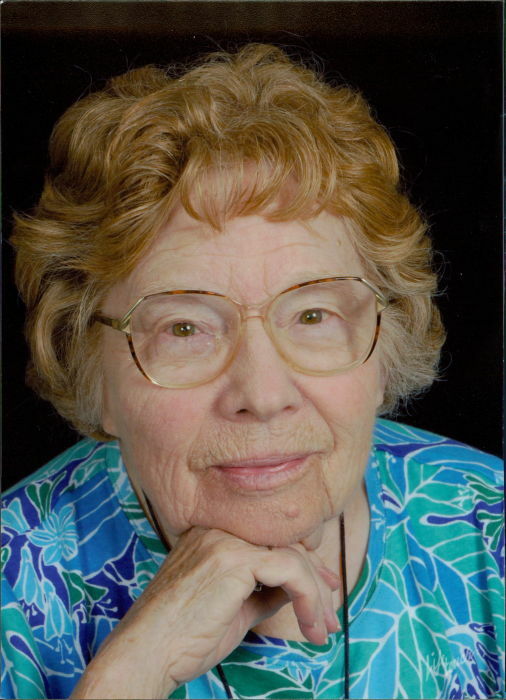 Carolyn Wardlaw Webb, 97, of Abbeville, recently of the Brookdale Retirement Community in Easley, passed away Sunday, March 24, 2019, surrounded by her family. She was born in Abbeville to the late John Paul and Willie Link Wardlaw. Carolyn was the valedictorian of the Sharon High School Class of 1938 and in 1940 received an associate’s degree in business from Winthrop College. She was employed with the Abbeville County School District with 30 years of loyal service, retiring as an Administrative Associate in the District Office. Carolyn was a devoted member of the Abbeville Presbyterian Church where she faithfully supported the Adult Sunday School Class, Circle # 3, and served many years as Church Treasurer. She was also a member of the former Abbeville Pilot Club and volunteered at the Abbeville County Memorial Hospital. In addition to her parents, she was preceded in death by her husband, Hugh H. Webb and a sister, Sara Elizabeth Jarrett. Carolyn is survived by her son, Ron Speer of Easley, son and daughter-in-law, Barry and Julie Speer of Williamston and daughter and son-in-law, Cyndi (Speer) and Bill Banks of Liberty and a grand-daughter, Heather Anne Speer of Clio, Michigan. A service to celebrate Carolyn’s life will be 2:00PM, Saturday, March 30, 2019 at the Abbeville Presbyterian Church with Rev. Dr. Greg Henley officiating followed by a reception in the Telford Parlor for family and friends. Private burial will be held in Sharon United Methodist Church cemetery. Memorial contributions, in memory of Carolyn, may be sent to the Abbeville Presbyterian Church, Attn: Busy Bees Preschool, 301 N. Main Street, Abbeville, SC 29620 or to the Alzheimer’s Association, SC Chapter, 4124 Clemson Blvd. Ste L, Anderson, SC 29621. Harris Funeral Home and Cremation Services, Abbeville is assisting the Speer family.